Walkeshwar – A quiet retreat in the heart of Mumbai. This is an attractive spot for spending a quiet evening watching ducks and people go about their business. There are many temples in this area, including one of Lord Shiva and Balaji (Venkateshwara), among others. This ancient freshwater tank is right next to the salt-water Arabian sea. According to legend, Lord Rama tired from searching for his wife, Sita, who was kidnapped by Ravana, asked his brother, Lakshmana, to fetch him some water. 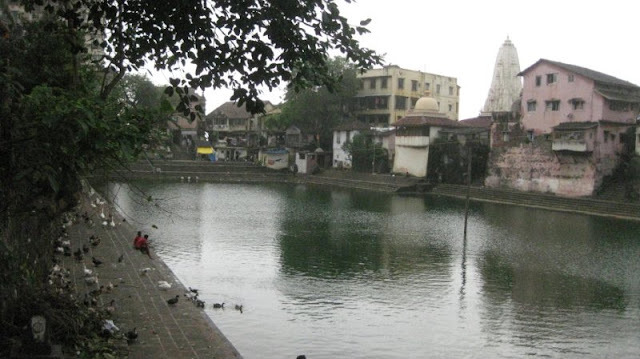 Lakshamana then shot an arrow at this very spot and water rushed to the ground, thus forming baanganga. « Previous: Serengeti Migration – A Daily Phenomenon?